What is stormwater and why is it important? Albany receives about 42 inches of rain per year. During rain events, significant volumes of water runs off developed land from our homes, businesses, and roads. It is important to have infrastructure in place to manage this stormwater runoff. 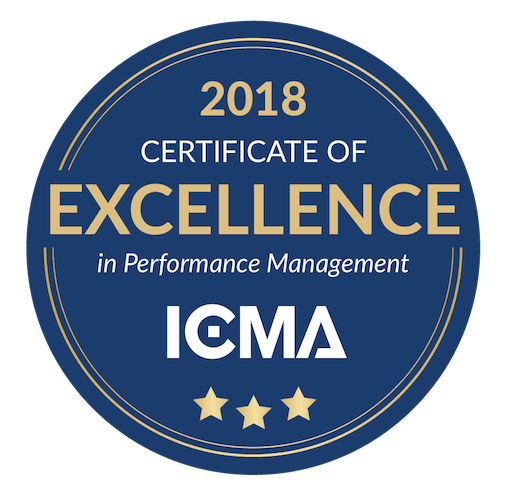 Infrastructure for stormwater includes pipes, ditches, and other facilities to manage stormwater safely and efficiently to protect against flooding and minimize impact to the environment. 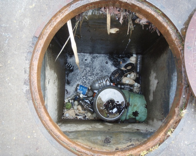 Albany has an estimated 135 miles of stormwater pipes, 70 miles of ditches, 2,322 manholes, and 4,307 catch basins along with 116 stormwater quality facilities. Without these facilities, streets would be dangerous and potentially impassable during rain events, runoff and flooding could cause widespread property damage, and Albany’s waterways and riparian areas would be at risk. Albany’s stormwater system must be able to address stormwater quantity and quality. Prior to implementing stormwater rates in 2017, the Albany City Council received a series of stormwater-specific presentations throughout 2015 and 2016. 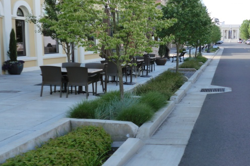 One focused on why it is important to manage both stormwater quantity and quality. Visit Past Presentations and Public Meetings to see the Council memo, presentation, and meeting minutes. 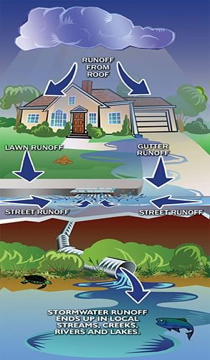 Excessive stormwater runoff or improperly managed stormwater can cause property damage in many ways, including the erosive and destructive forces that are created by large volumes of runoff. An extreme example of these destructive forces can be seen below. This video is not from the City of Albany. Stormwater quality is also important. It is a common misconception that Albany’s stormwater drains and pipes connect to the City’s wastewater treatment plant. For most of Albany, stormwater flows to inlets, pipes, and ditches that carry it directly to local waterways without any treatment at all. Consequently, trash, debris, and harmful contaminants are also carried to the waterways.